Nineteen year old Prince is terrible at telling almost anyone how he feels, and even worse at showing it. 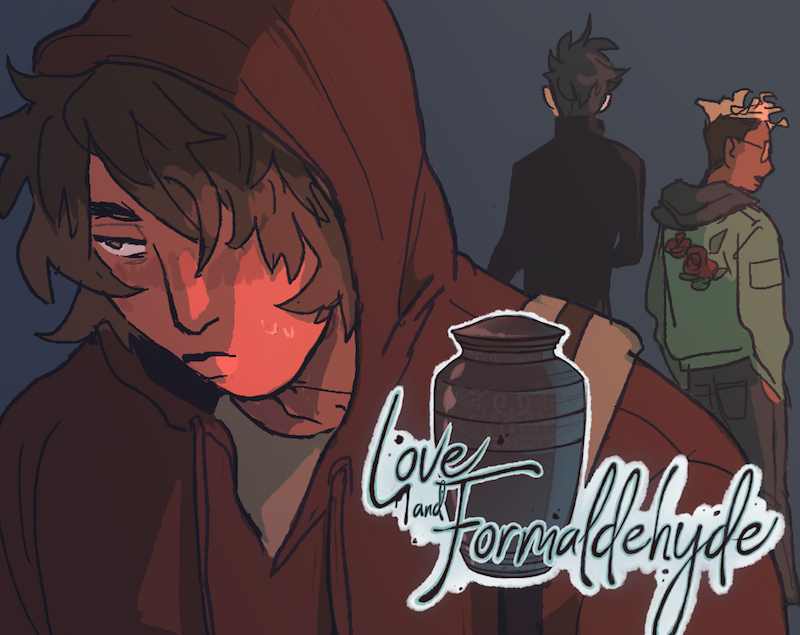 Without the ability to let his emotions show on his face, he's always had a hard time making friends — even in the mortuary program at a welcoming technical college, Prince only spends time with roommate Daniel while nursing a distant crush on classmate Aodh. 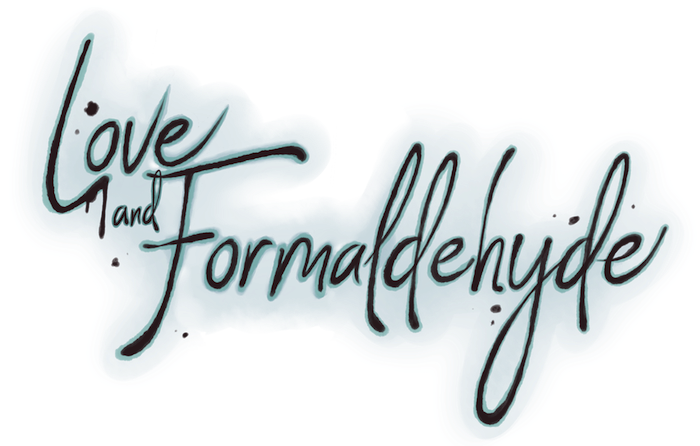 When their professor assigns them to do a temporary internship together at a local funeral home in the two weeks leading up to Valentine's Day, will Prince finally have the chance to confess his feelings? Or will life — and death — get in the way? -5,000+ words (~half an hour) containing the first two days of the story! -A stylish, fully original six-track musical score! -The other 25,000+ words, putting the full story at 30,000+ (~2 hours). 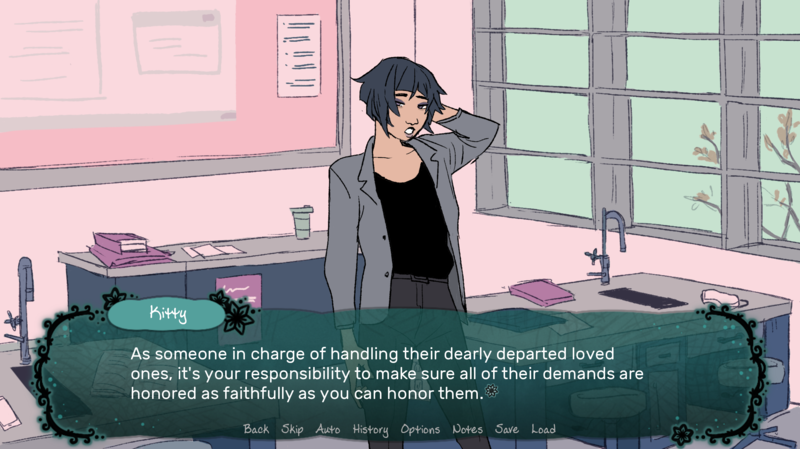 -Three endings, two with CGs, based on your choices! -Six unlockable pieces of extra story content! I absolutely loved it! It was awesome to see a trans character portrayed as a regular person, as I am one myself. I cant wait to play the full release! When do you anticipate it being completed, and how much will it cost? Loved it. When is the full release and how much will it cost? I LOVED IT. 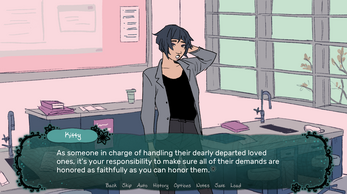 BEST DATING SIM I HAVE, EVER, PLAYED!!! Just finished playing the demo and - wow. I am really looking foward to the full release. The art is amazing: all the characters are beautiful and the backgrounds are incredible. I simply adore the style. It was a nice little touch to have characters change clothes, which isn't something you see very often (and man, Prince's shirt for relaxing is great). The writing is also incredibly nice. It is only the first two days, but I already like all the chracters. None of them seemed flat to me, even Kitty, Nana and Isabelle who didn't have all that much screentime. This made me incredibly happy and I kind of want to play it just to see more of them. I'm also really excited that Prince is a trans guy. There isn't nearly enough of that and it was worked in so nicely too... Oh, man. This is a really good demo. Good job. Me and my friend played this togther and hadn't expect a great story from the demo. But you proved us wrong and we are just dying for the full version to come out. Keep up the good job and keep proving my friend and I wrong. I just finished the demo and I'm honesty?? yelling?? 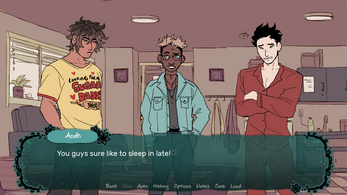 I love that the main character is just like me (socially awkward trans guy) and the art is so nice and jdfksn I'm excited for the full version! hello!!! i just finished playing through the demo and i adored it! what a lovely game!! the art style and the characters and everything are just so wonderful and i enjoyed my time playing it so, so much! prince's social anxiety and being 'burnt out' is heavily relatable, and aodh is so cute and!! gosh what a great game. thank you so so much for putting it out here for us to enjoy! Hey, I just wanted to say that I played through the demo and really enjoyed it! I love the characters and the art. Also, as a trans guy who also has social anxiety and a fear of needles, this was extremely relatable haha... So thank you for making this, and I will definitely be looking forward to the finished game! I'm so glad to hear it was relatable and that you enjoyed it -- thanks so much for playing! I hope you enjoy the full version! I love it. I've been following since Lemma forums, and I was pumped to see what you released. It's all too cute and positive in the right ways. I'm looking forward to the full release. 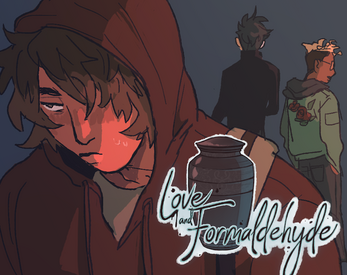 Oh, I'm glad you liked the demo after seeing it on LS; I hope you enjoy the full release! This was a well made game. Loved the woven in story from Prince and, Daniels dialouge. Hope this does well in the game jam! Thanks for playing LAF! I'm glad to hear that you think it was well-made, haha. This game is one of those incredible finds that, for me, fills a niche I didn't even know was empty: morticians in training, thoughtful portrayals about dealing with death, trans characters as ordinary college kids... You have an amazing talent for writing characters that sound and feel like real people, and a great way with turn-of-phrase that often surprises me and makes me laugh out loud! I also love that the art for this game is by Robin Yao/shounenkings--I've loved their drawings since I first stumbled across them during my Haikyuu!! obsession. Thank you for making this game, and I dearly look forward to playing the full version! Wow, this is such a sweet comment, I'm incredibly touched!!! 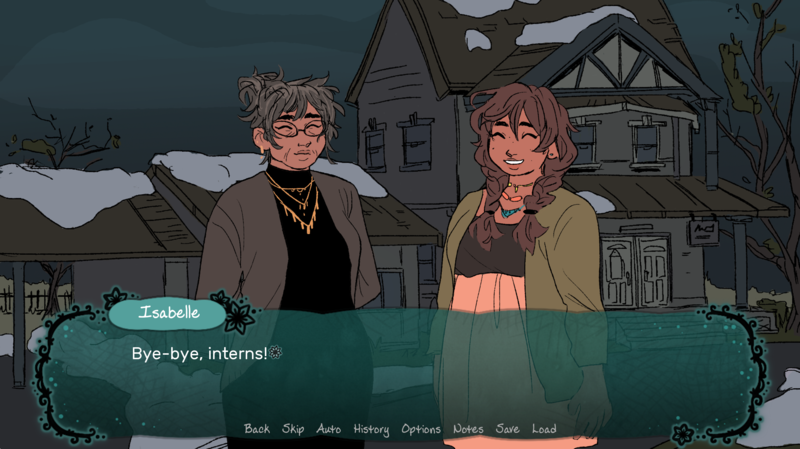 ❤ I'm really moved to hear that you had a feeling similar to the one I originally did while playing A Mortician's Tale, which is what drove me to make this in the first place; it's wonderful to hear that something I made could fill one of those tiny, new little niches for you! There's lots of other different things I'm interested in making -- so hopefully my other work can do that in the future, too! Excited to try the demo and check out what you've got so far! Can't wait to see this all finished up!